Flowers, lettuce, toms, cue, beet, fruit, jellies, loaf cake, milk, cereal, butter. 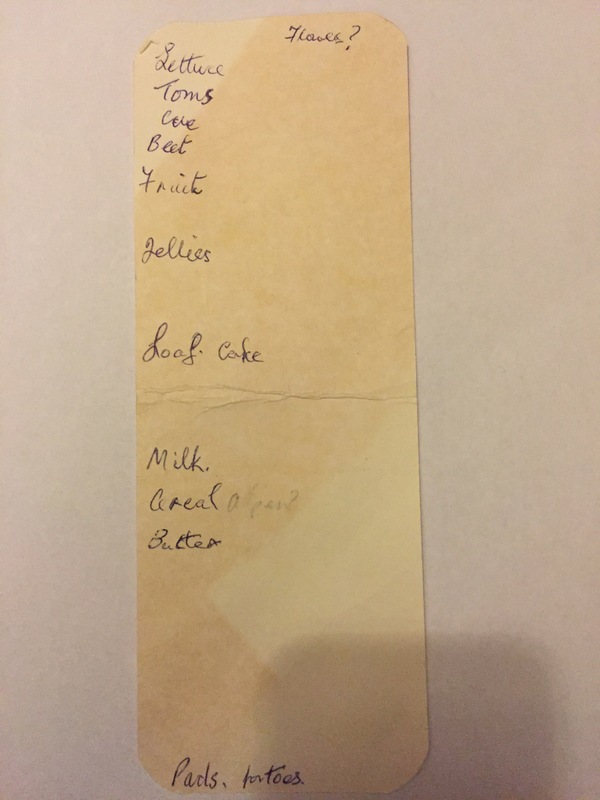 Although the location and date are not known, the salad ingredients would suggest that this is a summer list. Very nice writing with the l of a £ sign.